Last year was the first time I did a Christmas eve box for the children. Archie was only just a year old so I did one for them to share. This year I have done two separate Christmas eve boxes as Archie is just two and very much ready for his own. I am looking forward to giving them the boxes tomorrow morning in preparation for a very festive, christmassy few days ahead of us. I like to see the magic in their eyes at christmas. Mostly because it is something different from the very (special) everyday moments we share together throughout the year. I never remembered christmas from my childhood in South Africa, not until we moved to England when I was ten. The lights, the festivities, the community, christmas markets, the snow! The very magic of christmas came alive for me when I moved to England. My first Christmas here is one of the best memories I have. We spent it with very close family, we arrived in December and my parents hadn’t been able to prepare anything for us for christmas. I remember knowing not to expect anything as of course we had just left South Africa and had arrived in England to essentially start again. But, I was left completely shocked and surprised on christmas day when my sisters and I awoke to our own christmas stocking’s filled with presents at the end of our bed. My dad’s close family who we were staying with had put together a ‘real christmas’ for us. Something I will never forget. We were introduced to British Christmas in such a wonderful way. I remember the feelings, making a very sad little girl who had her left her ‘home’ and friends on the other side of the world feel the magic and joy of a very British Christmas, of love, giving, and well wishes. I very much want to keep that alive in my children and show them how to see the magic too. Its fun, its exciting, and it is full of surprises all the way through. Lots of family time too, cosy evenings, hot chocolates, cheese boards, and the big christmas dinner. Writing it down makes me realise how lucky we are to be able to celebrate and enjoy christmas as we do. I am so very grateful. There is nothing I love more than christmas eve, the anticipation that Father Christmas is arriving the next day is all too much. With a christmas eve box the excitement starts the moment the children wake up on christmas eve morning. I do realise I have left it so late this year, I would have loved to have the boxes done at the beginning of December to save the stress but things just didn’t work out that way this year. 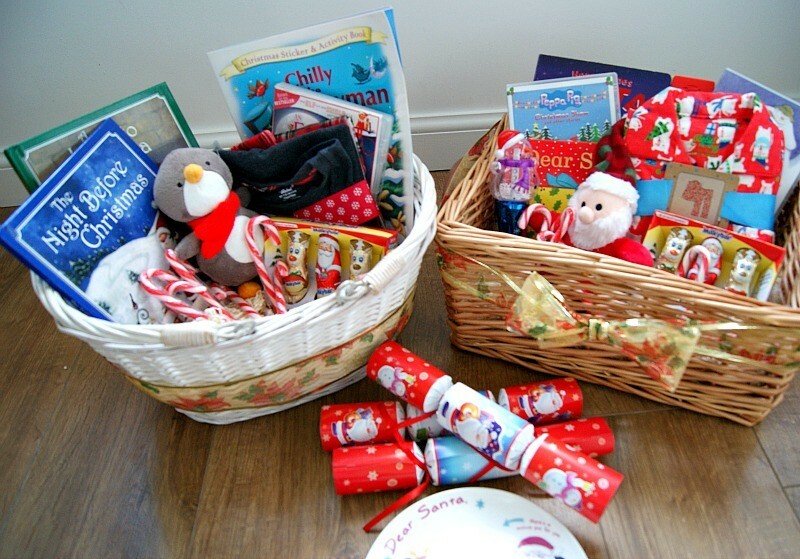 I also used very many of the children’s bits from their christmas eve box last year. 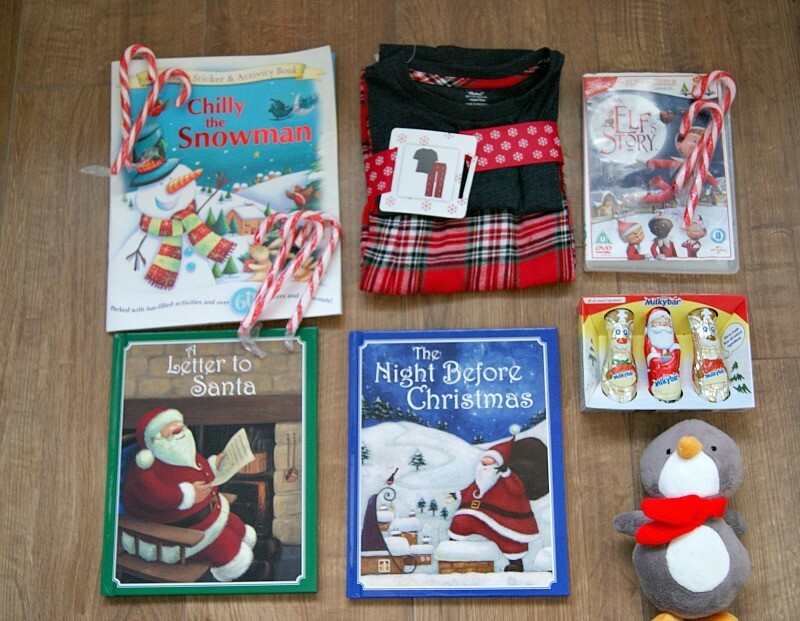 I did add a few new things, which were some candy canes | Chocolates | christmas pyjamas | and christmas crowns. I bought the ribbon from a local garden centre. 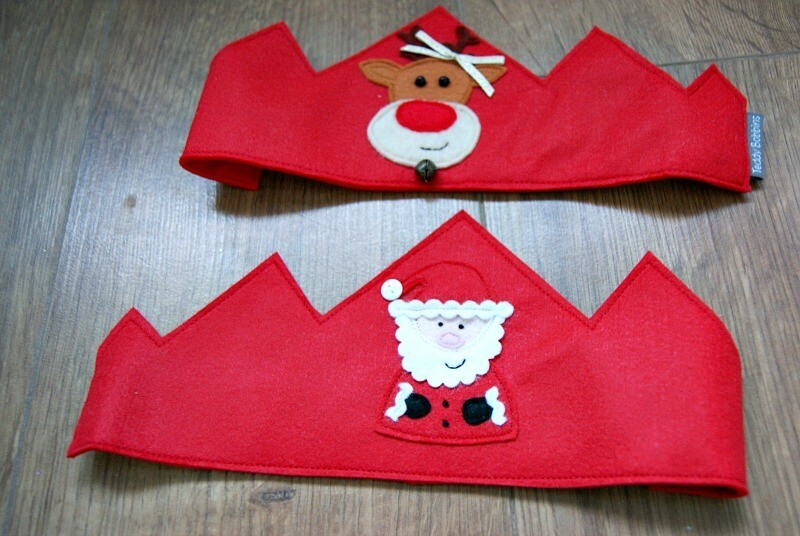 The christmas crowns are new and something I am extra excited about adding to their boxes this christmas eve. They are handmade and I purchased them from Teddy Bobbins. I have previously purchased a birthday crown for my niece. I absolutely love handmade items and am always so blown away by the quality of Teddy Bobbins’ products. I am very excited to have the children wear them for Christmas dinner. 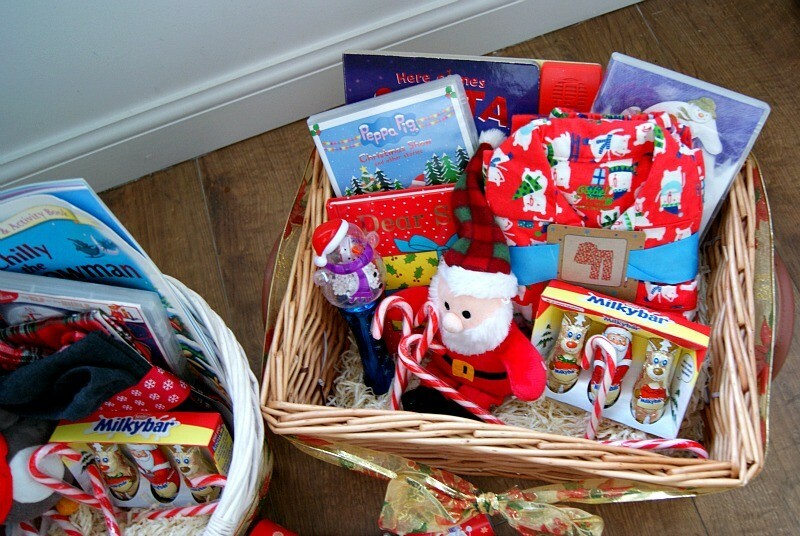 It is very easy to make a christmas eve box, and even easier to save money while doing it. The first year of course you will need to buy all the bits first, but for me this year all I brought were the bits above and the rest is all from last year. I think I will switch it up again next year but this year as they are both young I am pleased to have some of the previous years bits and I think they will love it just as much as last year. Especially because they each have their own box this year too. 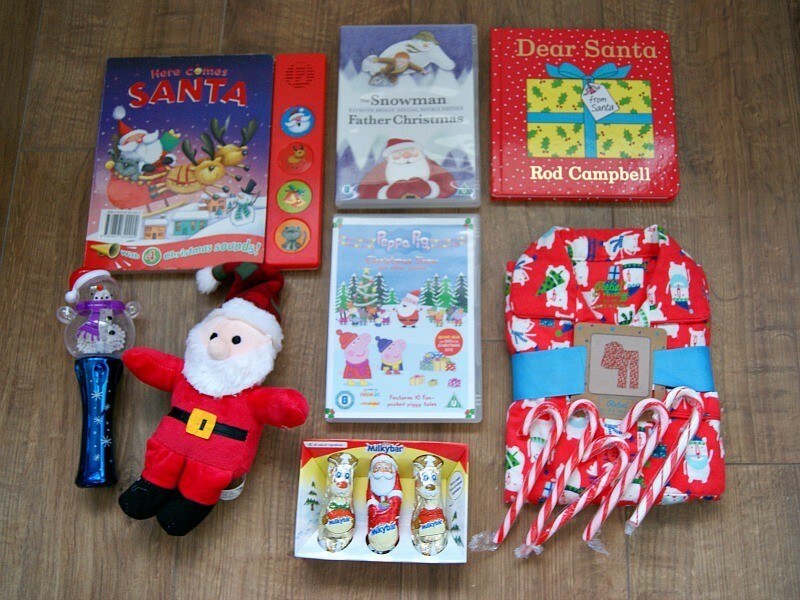 You can look at the children’s Christmas eve box for 2014 here if you would like. Being British born and bred, Christmas just wouldn’t be Christmas without cold weather, and some snow featuring somewhere! I’ve heard of Christmas Eve boxes before and they sound lovely. Not done them, but may have to do them net year! 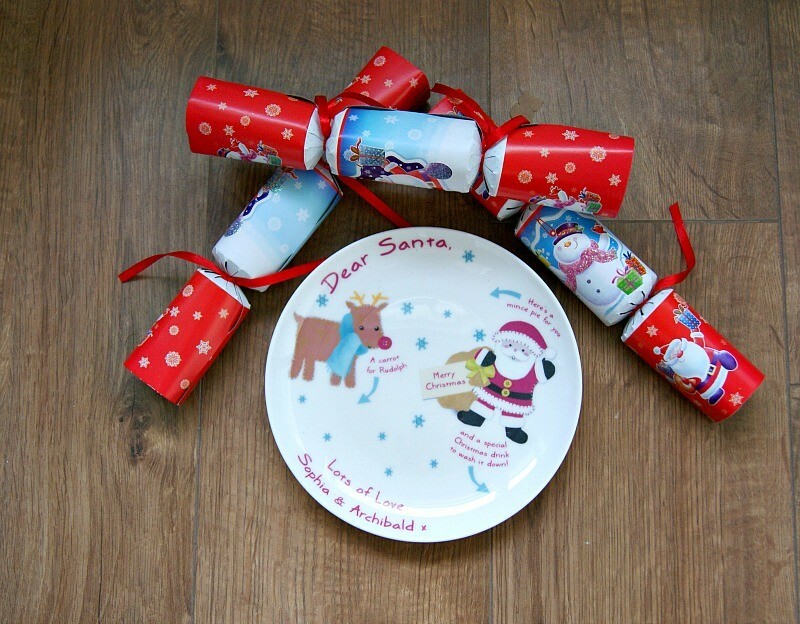 wendy recently posted…Breaking Christmas traditions – is it ever acceptable? !